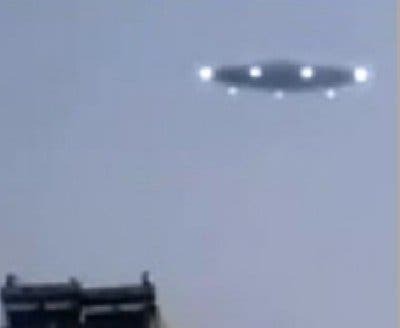 China's People's Daily Online is reporting that Hohhot Air Traffic Management Bureau instruments detected an unidentified flying object (UFO) approximately 25 miles east of Baotou, Inner Mongolia Autonomous Region at 8 p.m. on September 11, halting air traffic at Baotou Airport between 9:14 and 10 p.m. Three inbound flights from Beijing and Shanghai were instructed to circle the airport awaiting clearance to land and two flights (Air China Flight 1107 from Beijing and Juneyao Airlines Flight 1137 from Shanghai) were rerouted to other airports. "(Baotou Airport) received a notice from the Hohhot Air Traffic Management Bureau about the appearance of a UFO. To guarantee security, the aircraft heading for the airport had to land at secondary airports. Otherwise, it may have led to collisions," said a Baotou Airport spokeswoman. The official mouthpiece of the Communist Party of China is using the term "UFO" without a trace of embarrassment. Translators responsible for preparing the English language version of the newspaper's site are surely aware of the term's implications in the West. Sounds like they are true believers in advanced extraterrestrial civilization.